The Africa and Middle East region has been transformed in recent years by an emerging middle class and growth in tourism, boosting the bar scene in turn. By James Lawrence. If one were to imagine the most likely destination for a thriving bar and hospitality scene, the UAE might, to put it mildly, not come near the top of the list. Yet according to the Wine & Spirit Education Trust, a record number of students are enrolling on its programmes in the region, while leading hotel chain Jumeirah has started running courses in-­house for staff. Moreover, new openings are no longer confined to expat communities and five­-star hotels – from Tel Aviv to Dubai, from Beirut to Abu Dhabi, local entrepreneurs and foreign investors are continuing to inject cash, savoir faire and excitement into the Middle East’s bar scene. It’s a similar story in neighbouring Africa. Traditionally, even major tourist destination South Africa has lacked a solid middle ground, with the bar scene in Johannesburg, to cite one example, rigidly divided between expensive, luxury hotel appendages and rustic watering holes. 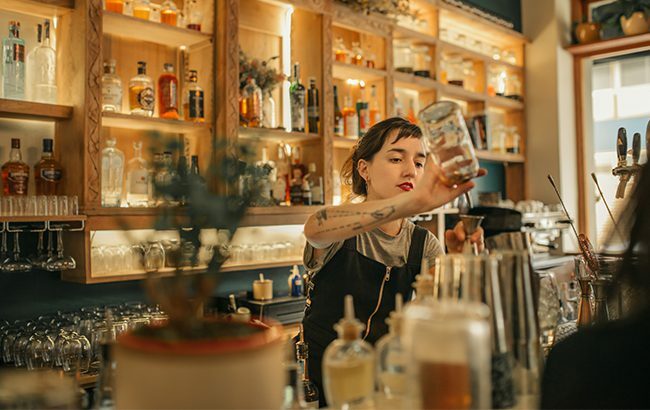 However, pioneers such as Roman Slepica are continuing to bring sophistication to the city’s mixology scene – his project Blind Tiger started the welcome trend and Johannesburg now offers a number of neighbourhood cocktail lounges that don’t feel like tourist traps. Meanwhile, rival city Cape Town is on an unstoppable march and now boasts a dramatically different bar scene compared to a few years ago. Visitors to modern-­day Nairobi, Accra and Lagos may also be surprised by what they encounter. Residents and tourists alike used to complain their options were limited to the number of fingers on one hand. Today, the dilemma is where to start. Click through the following pages to discover Africa and Middle East’s bars to watch in 2019.